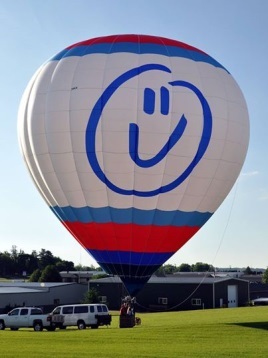 Welcome to Fly Ohio Ballooning, your source for hot air balloon rides, hot air advertising, hot air balloon tethers and service in Ohio. Hot air balloon rides offer a unique perspective of our earth, enabling you to enjoy the freedom of flight while quietly drifting over its landscape. Our team of FAA certified commercial pilots and experienced crew is here to serve you. We are pleased to now accept credit cards online and over the phone. Please call for seasonal pricing. Give us a call and we will help make this a special gift.